While lurking around Duane Reade I happened on a line of perfumes by a thoroughly unfamiliar designer, Jeanne Arthes. Later discovering that the new to me perfume house of Jeanne Arthes was both French and sold in pharmacies and grocery stores across Europe made it no shock that reviews were pretty much nonexistent. Despite being around since the late 70's and situated in the perfume capital of the would, Grasse, I guess Jeanne Arthes' prices are far too cheap and the taboo... just too great. Perfume is such a serious right of passage in France with many girls I knew receiving a Guerlain or Chanel as their very first fragrance at 12 or 13. Plenty of Nina Ricci, YSL and Dior to follow. I was almost swayed into not trying them myself because of the price and obviously borrowed bottle designs but was drawn to a few of Jeanne Arthes' fragrances purely based on very specific notes, namely chocolat. This included one with black truffle (hello! ), grapefruit, blackberries, orchids, amber, incense and dark Mexican chocolate. Finding chocolate based fragrances geared towards women is surprisingly challenging so Jeanne Arthes' Love Never Dies Gold was too intriguing to pass up buying, even if I had to do it blindly, along with a few others. When the box arrived and I spritzed some on of each, I was shocked at the quality. 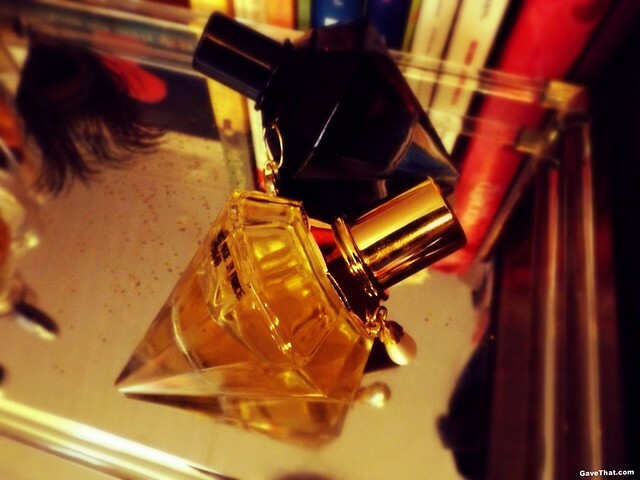 The notes were there seamlessly, smoothly blended... these were legit perfumes, Love Never Dies Gold in particular. One of the best chocolate based fragrances I have come across to date, Love Never Dies Gold was hauntingly similar to something else. The deja vu moment sweeping over was so strong that I ended up sniffing everything perfumed around me trying to find it's twin. Then the scents of others. Nothing. That's when I looked up the notes once again and saw numerous Tom Ford Black Orchid lovers were pointing out similarities with Love Never Dies Gold. That was it! Good old Black Orchid. So much has already been written about that fragrance that anything I have to add can be pretty much summed up by pointing out Black Orchid's status as Michael Jackson's last signature scent. Despite being a major let down when I first sniffed it some 6 years ago, on a TJMaxx clearance rack for $40. no less, and promptly leaving it behind as Edith sung, no regrets off in the distance, Black Orchid definitely did leave a lasting olfactory impression. At the time I was already wearing Comptoir sud Pacifique's original coeur de raisin which was all warm brown sugar, mulled raisins and Muscat goodness with a hint of orchid, basically leaving no real reason to switch to the dark chocolate side. Love Never Dies Gold is another story, especially with the old formulation of coeur de raisin now long gone, because it's definitely different and similar to Black Orchid in intriguing ways. Much the same as Nirvana Black by Elizabeth and James, all are in the same vein but doing their own thing. I'll even say Love Never Dies Gold actually now leans more towards Ford's prettier new Velvet Orchid after testing it side by side against all three. Jeanne Arthes' reinterpretation is sweeter, fresher, more floral and moves the needle away from unisex. They've made it practically a skin scent that melds instead of shrouds and, unlike Velvet's familiar boozy vanilla, centers around one of the most exotically beautiful chocolates I've ever had the pleasure of smelling in a perfume. A dark, powdery, spicy cinnamon flecked Mexican hot chocolate with a warm, eggy churro resting alongside. The Grasse touch has swept away much of the melodramatic and melancholic notes, leaving only a hint of the over ripe banana-ish decay that can come from a rich ylang-ylang. Gone completely is the scent of medicinal cloves along with the patchouli which seemed to combine and give off a fish food flakes mixed with waxy old lipstick quality to the original Black Orchid. Tampered to a whisper is the smoky incense leaning towards burnt offerings which often translated as left over cigi and cigar smoke on clothes. A slight bummer there on the incense but what's still present in Love Never Dies Gold, yet very toned down, is the almost creamy, eggnog rich nutmeg mixed with a whiff of fresh baked baguette, both inherent parts of Black Orchid's DNA. Jeanne Arthes really went for it. "For a scent to be touching and profound, it needs to have something awful. Otherwise it's just pretty, and that's incredibly boring." Morticia Addams pruning the flowers off her black orchids under the glow of the moon shooting beams through the broken glass of her gothic conservatory, Gomez Addams feverishly kissing her arm in the thick, languid air, crushed blossoms falling and decaying at their feet. That pretty much sums up Love Never Dies Gold. And unlike Morticia's dress, Jeanne Arthes' rendering has no tail. This was going to be unquestionably a take on the grandfather of all chocolate fumes, Thierry Mugler's Angel only with an interesting twist. Instead of making a version of the original, Jeanne Arthes decided to make Perpetual Pearl more reminiscent to one of Angel's limited edition flankers. Namely the autumnal Le Gout du Parfum or Taste of Fragrance. The notes of chocolate, neroli, rose, jasmine, pineapple, peach, patchouli and caramel of Perpetual Pearl seemed to hint at this so I took a chance. As I've learned from their other fragrances, the way Jeanne Arthes handles patchouli is superb. Gathering up my never worn Angel's when Perpetual Pearl's package came, it turned out I didn't really need them to compare. If you've always wanted to wear Angel but find it a wild beast of uncontrollable green patchouli which obliterate's everything including the chocolate, that's rather burnt anyway, (one of the reasons I always liked A*Men better despite being coffee based) &/or you love Macadamia Healing Oil Treatments scent —random I know but it too is an Angel dupe— Perpetual Pearl is it. Gentle, subtile, again beautifully and ridiculously well blended, when I first spritz it on immediately I smell a delicious powdery dark baking cocoa sweetened up by warm, bordering on tropical, fruitiness. Almost as if the pineapple, peach and rose petals were dried in the sun. All the way in the back is an inkling of patchouli which decides to peek through in a minty, candied way. The caramel is there too making Perpetual Pearl smell comfortingly of chocolate brownies. No green melon or cucumbers (thank goodness! 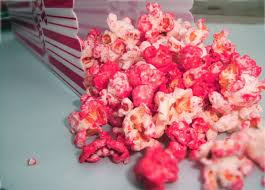 ), no cotton candy, nothing sour, only lovely, smoky gourmand bits that come together, taking on the scent of warm, yummy skin. 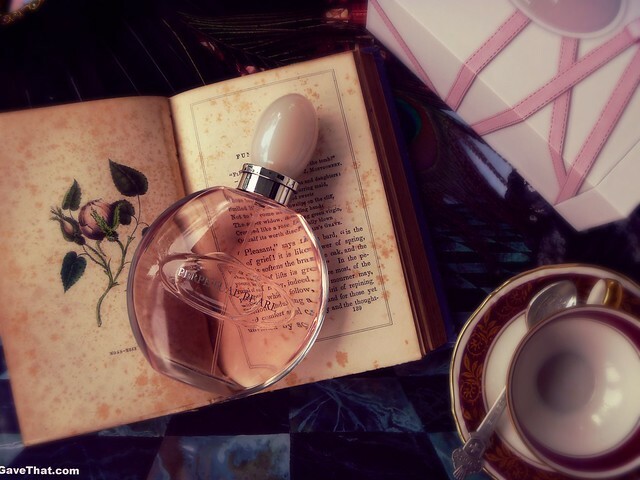 All in a really pretty gift box wrapped in trompe l'oeil pink ribbons and a bottle with a huge pearl stopper atop that belies the price and what's lurking inside. Speaking of roses I decided to take some of the rose perfume that I made over the summer (see the how-to here) and added a little powdery chocolate oil to it. A chocolate rose = heaven. Do you like to change fragrances in the autumn? Do they get spicier or more gourmand? I discovered Lover Never Dies gold last year-what a gem! I just bought another bottle in case it is ever discontinued. My only wish is that it would be just a little more potent, but we can't have everything! So, so tempting... as it gets cooler I see the bottles getting drained!